Congratulations on your upcoming graduation from the Wilson College of Textiles at NC State! There are lots of things to do prior to the big day. 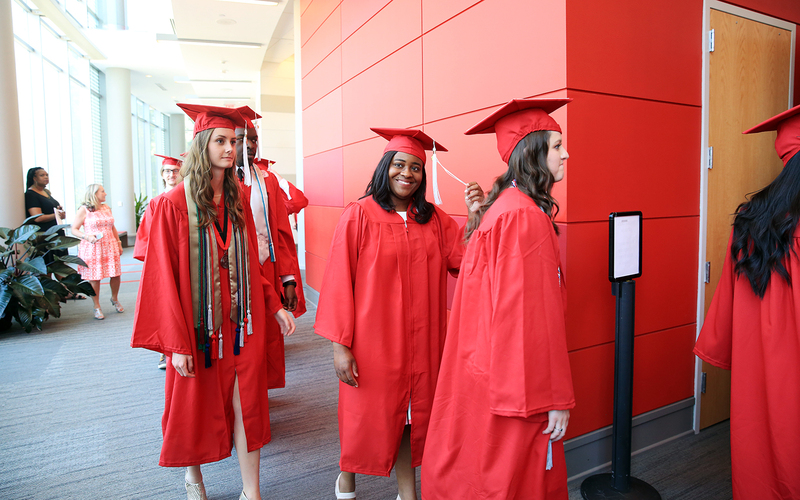 To ensure a smooth transition to the next exciting phase of your life, follow the Wilson College of Textiles Graduation Checklist and review information about the NC State and the Wilson College of Textiles ceremonies. We want to ensure that you and your families have an amazing day celebrating your accomplishments, so read over the instructions carefully. The college’s commencement ceremony will take place on May 11, 2019 at 2:00 p.m. Your guests may enter the facility beginning at 1:00 p.m. Immediately following the ceremony, all graduates will proceed to the front lobby of Memorial Auditorium for a group photo. Our graduating class will fill the entire lobby, so we will ask that all guests stay seated for a moment to allow for the group photo. Graduates cannot bring personal items to the graduation ceremony due to a lack of storage space. In the event that a graduate must bring personal items, they must make arrangements in advance with a family member or friend to hold on to their items during the graduation ceremony.